The day of the main delivery was yesterday. 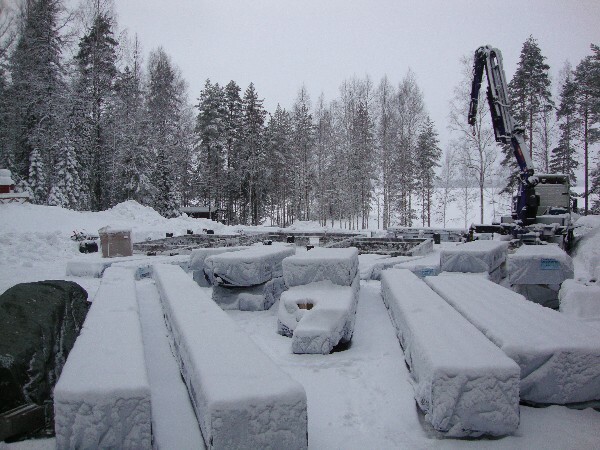 A long truck drove 500km from Northern Finland to our cottage lot with some 500m of 20cm wide logs, the main pillars, and some of the other materials needed to put up the log frame of Villa Linnea. I estimate it must have been 30 tons of goods. But things didn’t work out quite the way they are supposed to. Instead of watching the unloading at 7.00 AM, we found this in the village to which our cottage belongs to. 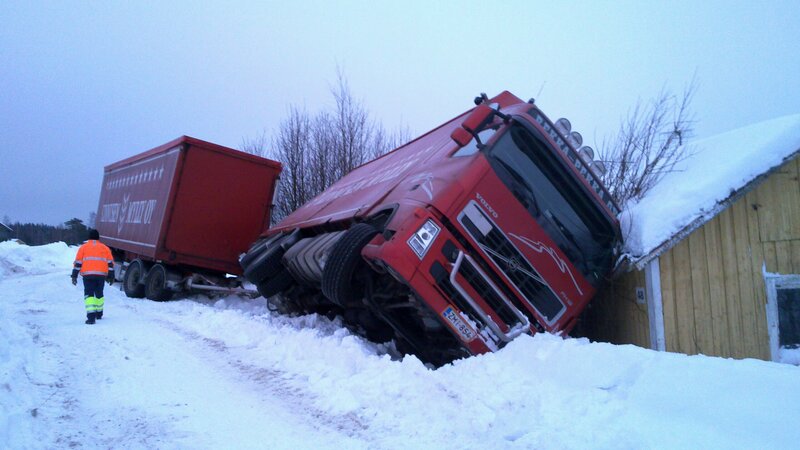 The truck including the trailer had driven off the road just less than 2km from the building site. thanks to an old and now inhabited little house the truck did not tip over all the way. 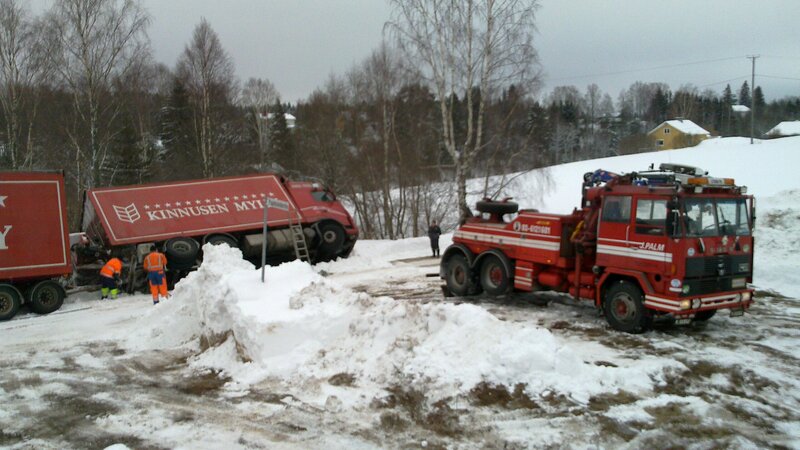 It took 5 hours, a tractor, a digger, a truck with a crane to unload the logs temporarily on the field and a truck tow truck to get our materials out of the ditch. The reloading and unloading took another 7 hours until our logs where delivered where they belong. Some of packages got some damages and the log home vendor might have to replace some 4 to 6 lo Overall, personal damage was avoided, the truck could be fixed, and all parts can be replaced. Ups… taisi hypätä sydän kurkkuun, kun tuon näki. Mutta hyvä ettei tullut peruuttamattomia vahinkoja. Parempaa onnea jatkossa!